Christine C. Cockerill grew up in the nearby community of Wallingford, Pennsylvania and has been a resident of Gloucester County for the past 23 years. Her husband, Stephen, is a lifelong resident of Barnsboro, New Jersey. After graduating with honors from Villanova University in 1990, Ms. Cockerill pursued her law degree at Villanova University School of Law. Ms. Cockerill served as summer law clerk in 1991 in the Federal Court, Eastern District of Pennsylvania, to the Honorable Charles Weiner. As a third-year law student, Ms. Cockerill was certified by the Supreme Court of Pennsylvania to prosecute domestic violence cases for Delaware County Legal Aid. She was the recipient of the Wapner, Newman & Wigrizer Award for Excellence in Trial Advocacy in 1993. She received her Juris Doctor degree from the Villanova University School of Law in 1993. Ms. Cockerill went on to serve as law clerk to the Honorable John D’Amico, Jr., Chancery Division, Family Part, Monmouth County, for the 1993-94 term. Since the conclusion of her clerkship, her practice has been devoted to family law, complex matrimonial litigation, interstate and international support and custody issues, and assisted reproductive technology law. In 1998, Ms. Cockerill was named Young Lawyer of the Year by the New Jersey State Bar Association. She received the Award of Merit from the National Center for Missing and Exploited Children in 1998 as well. Ms. Cockerill received the Woman in Law Award from the Gloucester County Commission on Women in 2002, and the E. Henrietta Roesler, Esquire Women in Law Award, from the Gloucester County Bar Association Women in Law Committee, in 2010. Ms. Cockerill has served as a Matrimonial Early Settlement Panelist in Monmouth, Camden, Salem and Gloucester Counties. She is a member of the Gloucester County and New Jersey State Bar Associations, as well as the Family Law Section of the New Jersey State Bar Association. Ms. Cockerill served as Trustee for the Gloucester County Bar Association, from 2001-2007, and as Co-Chairperson for the Gloucester County Family Law Committee from 2003 to 2016. She has acted as a presenter for the Putting Children First Seminars in the Gloucester County Family Court. In 2011, Ms. Cockerill became a member of the New Jersey State Bar Association Family Law Executive Committee. She is currently a member of the Statewide MESP Panel Chair Committee. In connection with her assisted reproductive technology practice, Ms. Cockerill represents clients for adoptions, gestational carrier agreements, donor egg agreements, and establishment of parental rights and status after gestational carrier birth. 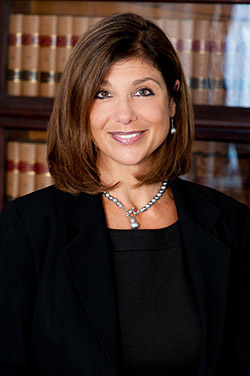 In addition to her family law and assisted reproductive technology practice, Ms. Cockerill is a New Jersey Court Rule 1:40 Approved Mediator, and accepts mediation clients for family law issues including, but not limited to, custody, support, equitable distribution of property, dissolution of marriages and civil unions. Ms. Cockerill has volunteered additional time in service to the bench and bar, as a Member of the Gloucester County Domestic Violence Advisory Committee, the Vicinage Liaison Committee on Best Practices, and the New Jersey State Bar Association Speaker’s Bureau. She has volunteered both on the board, and as a speaker for Laws of Separation and Divorce Workshops provided through the Center for People in Transition community project, at Rowan College at Gloucester County. Christine C. Cockerill has presented several programs offered through the Gloucester County Legal Education Association. She is an active member of her parish church, Incarnation in Mantua, New Jersey, where she teaches in the Parish Religious Education Program.